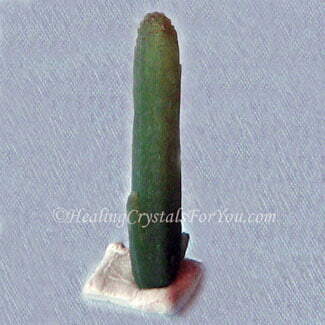 Seriphos Green Quartz Properties, Meaning & Use: Have Heavenly Energy! 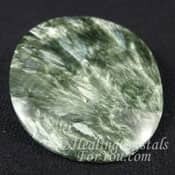 Seriphos Green Quartz emanate a strong and quite delightful energy, that brings joy, releases negativity and helps you to feel that you are brimming with good health. They help you to connect to the higher realms and also assist you to stay beautifully grounded. 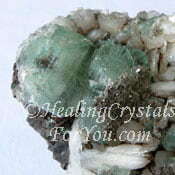 These green crystals have a lovely heart based stone that is a wonderful support to aid healing. Their heavenly energy helps you to connect with the energy of both plants and beings living in the natural world, and they are a wonderful support for healers using herbal medicine. One of the interesting characteristics of these green quartz crystals are that they commonly develop in a specific formation, and many have side branches and appear to look like little trees. Also known as Prasem Quartz or simply Prase, the formation of these stones gives us a wonderful message from nature and Mother earth, about the ways that they may benefit you. They embody a powerful vibration that is highly beneficial to use for healing, and they also help you to be more organized, systematic and practical in your daily life. The origin of the name Seriphos Green Quartz, relates to where these stones come from, on the Greek Island of Seriphos, in the Aegean Sea. They are found in a specific area of this island, in a cave underneath the ocean! 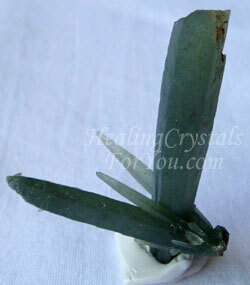 An alternative name for these crystals is Prasem Hedenbergite Green Quartz. 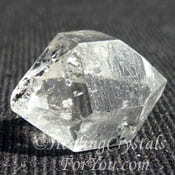 You will see them selling as Hedenbergite Quartz and they were commonly known as prase in the past. The word prase relates to a Greek word meaning leek, and relates to their green color. The color of these crystals vary in the shade of green they come in, and this ranges from a pale light lettuce green through to a quite deep spinach green color. Most of these crystals are long and thin with a point on the end, and the color is usually lighter on the point and becomes a deeper green towards the base. 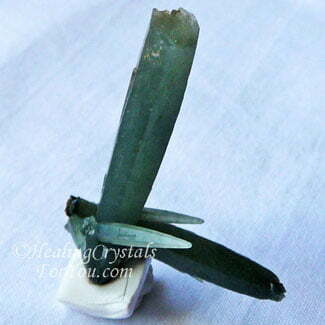 So why do these crystals grow in this unusual and elongated way? It is related to the fibrous inclusions of the mineral Hedenbergite or Actinolite within these crystals. Hedenbergite is a green mineral with a lovely sweet earth based energy, and it is its presence that interferes with the growth of these stones. They have a particular way of growing where they get thinner towards the top of the crystals, which is known as a tessin habit, and they may also have a curve as they narrow towards the point. This specific growth habit is an indicator that they are genuine stones that come from this area. While most of this green quartz crystal is primarily found in this one location, some crystals that may be quite similar are also found in Italy, Morocco and Russia. These crystals do have an absolutely wonderful energy, so it is interesting that the name of this Greek island relates to the seraphim, which are Celestial beings, or angels as they are commonly known. 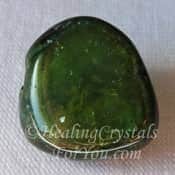 These green crystals resonate with an energy that helps you to recapture and reclaim the knowledge that you live on a wonderful and quite miraculous planet. How gratifying it is to make a connection with the earth and the beings who inhabit her! They help you to discover that life can be beautiful. 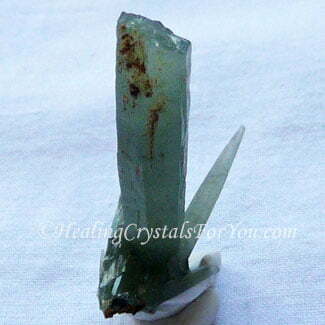 Seriphos Green Quartz crystals make a strong earth connection, and they embody a delightful loving vibration. They are potent healing crystals for you to use in a number of ways for personal healing, but especially if you are taking or using herbal medicines or herbs. 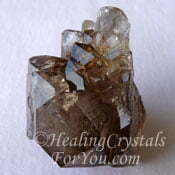 Buy Hedenbergite Quartz from Exquisite Crystals, my most trusted source for buying crystals. If you sometimes think that you are not certain about why you are living here on earth at this time, and if you wonder if you would prefer that you that were not here, then the beautiful energy of these crystals will help you. Through their action to balance and support the energy of the heart chakra, you may find that it will assist you to recognize the need for a greater degree of patience with your movement forward. This relates to the fact that each of us are different. So rather than comparing yourself with others, you may realize that it is all in Divine order, as you work out that what is happening in your life may be the perfect path for you. 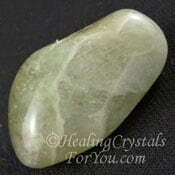 Seriphos Green Quartz have an appealing energy, that helps you to release negative feelings that may be filling you. The quite delightful nature of these stones is unique, as they help you to feel that heaven is not something you need to wait for, but that you can experience it here on earth. 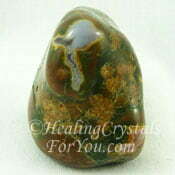 They are a powerful stone to keep on your body, as they embody a lovely strong and inviting vibration. 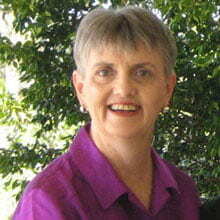 Their energy may bring immense joy into your life and a feeling of bountiful loving energy. One of the minerals within these stones is Hedenbergite, and this has a number of excellent metaphysical attributes to benefit you. 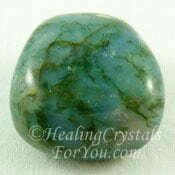 The energy of Seriphos Green Quartz aids orderliness in the home. One of the ways that this crystal personally helped me, was that all of a sudden, rather unexpectedly, I found that I became a lot more organized. Rather than my sometimes haphazard approach previous to this, I found myself developing a more orderly, systematic and practical attitude to my daily life. This was after using it for a while, as its effect is cumulative, and it certainly did help me in that way. 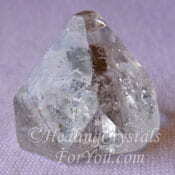 In addition its vibration also relates to bringing order to your spiritual life. They may aid you to personally understand a systematic method of moving your life to a place where you perceive your place in the universe, and help you to discover your reason for being here on earth at this time. You may find that you more easily achieve the goals you have been working towards, and you may also find new friendships, as the right people may cross your path. 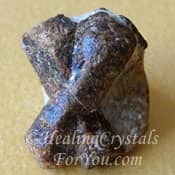 They are wonderful crystals to meditate with, and they can be used in meditation to help you to discover what is needed for your own personal growth and healing at this time. How Does It Aid Healing? 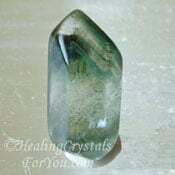 Seriphos Green Quartz or Prasem Quartz as they are also called in some places, can give you assistance to deal with stress. They help bestow calm, and an ability to relax more easily and they help to remove over sensitivity and that bristling irritated feeling. Their vibration helps you to be aware of the many good things in your world, and to feel that life really is wonderful. 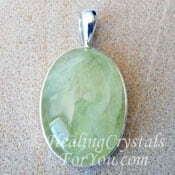 It is a potent aid to relieve negativity about life, that may be related to feelings of depression. They are valuable stones for emotional healing. 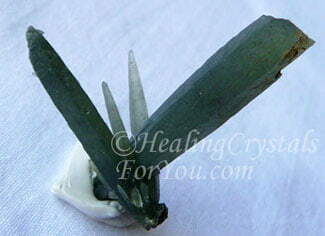 These green crystals have been in use since ancient times. The stone which was called prasius by Pliny in his writings. In olden times it was used to aid healing of the eyes, healing of bruises and to bring high temperatures down. As well, they may help to relieve the pain of sunburn or heat stroke. These days healers have reported that they may aid speech impediments, sedate the heart and boost the immune and endocrine systems. They are beneficial to use to assist you to remove psychic hooks and cords, and they are excellent to seal any auric leaks, which are known to cause emotional fatigue. 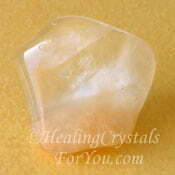 These are excellent stones for healers to use, and are known to be helpful to aid etheric surgery. Uses that have been discovered include its action to remove cysts and other issues located in the etheric, that are holding back your healing. As illness forms first in the etheric before it reaches your physical body, the removal of any illness from within your etheric body is highly beneficial. 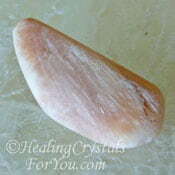 It is a lovely stone to use in your daily meditation. It is helpful to help you to connect with the angels, especially those angelic beings whose work it is to look after the health of the earth. These crystals make a good connection within the base or root chakra, and are strong stones to make connections to the earth and the devic beings. It is beneficial to keep a piece on your body when you are going outdoors to enjoy nature. If you enjoy walking outdoors, having it within your aura may assist you to make contact with nature spirits and elemental beings. 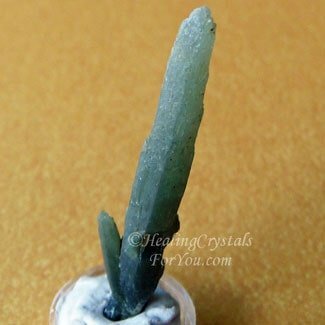 As Seriphos Green Quartz crystals are a variety of quartz, this means their energy will resonate quite well, so you do not need a large piece for it to be effective. Many people have not made contact with these beings as they are not aware of the presence of these nature spirits, that may live in and around the green areas of our planet. 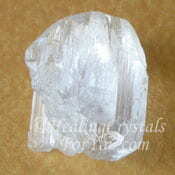 They are also excellent crystals to assist you to make connections with the higher realms and the angelic beings. One of their quite beautiful aspects is the way they help you if you have issues with losing your temper, especially if you have had trouble controlling it. In this case it would be beneficial to wear a piece on you if you can. It may aid you by enhancing your creativity, and over time you might also suddenly discover that gifts evolve. It is of value to keep a piece on your body, so the effects of its energy can unfold over time. 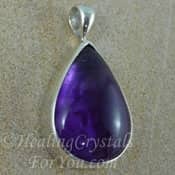 Wearing it as jewelry is highly beneficial, and it is sometimes found selling as lovely wire wrap stone pendants. This is one of those stones where in many people its action may not necessarily be found to be strong when you first use it. 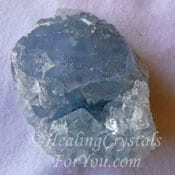 This includes psychic abilities such as telepathic gifts, and it may assist you with developing stronger intuition. 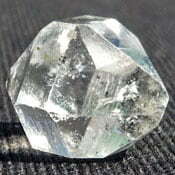 Prasem Quartz is another name for Seriphos Green Quartz. They are strong heart based crystals, that have a quite heavenly energy, that helps you to feel that heaven is not something you need to wait for, but that you can experience it here on earth. It may assist you to feel more organized, systematic and practical in your daily life. They have an excellent healing vibration and they aid healing of a number of different health issues, and are supportive of healers using herbal medicine. They have a lovely calming energy that brings joy into your life, and helps you to release negativity. Their vibration aids your connection with nature spirits and with beings in the higher realms including the angels. "If there is beauty in the person there will be harmony in the home. If there is harmony in the home there will be order in the nation. If there is order in the nation there will be peace in the world." Chinese proverb. 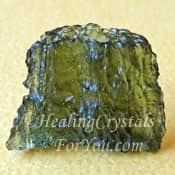 Seriphos Green Quartz combine beautifully with higher vibration crystals, including Moldavite, Herkimer Diamonds and Phenacite, which will boost its energy. 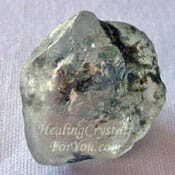 It is lovely used in combination with other stones that aid you to connect with angels, but in particular you may like to choose Clear Apophyllite, Green Prehnite, Seraphinite, Celestite, Angel Phantom Quartz aka Amphibole Quartz or Beryllonite. If you want to boost its energy when you use it in meditation, use it along with other quartz crystals, such as Amethyst, Herkimer Diamonds or Elestial Quartz. Some of the specific stones that aid contact with the devic realms are good combinations. These include quite a few lovely stones such as Stilbite, Rainforest Jasper, Muscovite, Prasiolite, Green Apophyllite and Chlorite Phantom Quartz. You may also use them with Staurolite which are also known as Fairy Stones, Moss Agate, Green Tourmaline and Fuchsite, as it is known as a stone that aids earth healing. 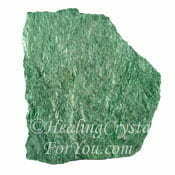 To assist you to make contact with nature spirits, you may choose to use Seriphos Green Quartz in combination with other crystals that are also strong earth stones.